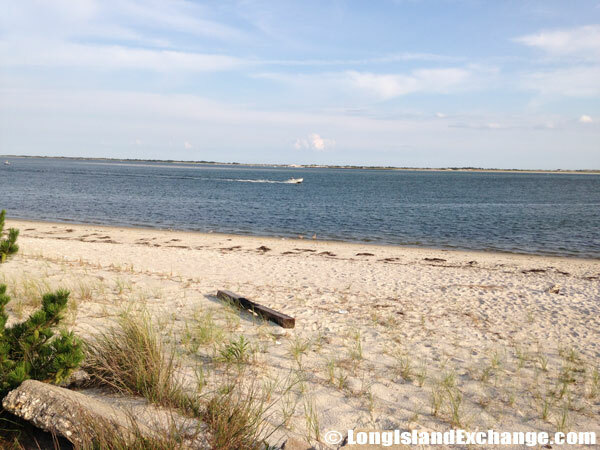 Oak Beach is a small beachfront community in Suffolk County located across the Great South Bay and lies between the Fire Island National Seashore and Jones Beach State Park. It is within the Township of Babylon, New York. The waters off Oak Beach are wealthy even by Suffolk standards. Common flounder weighs in at about 2 pounds. 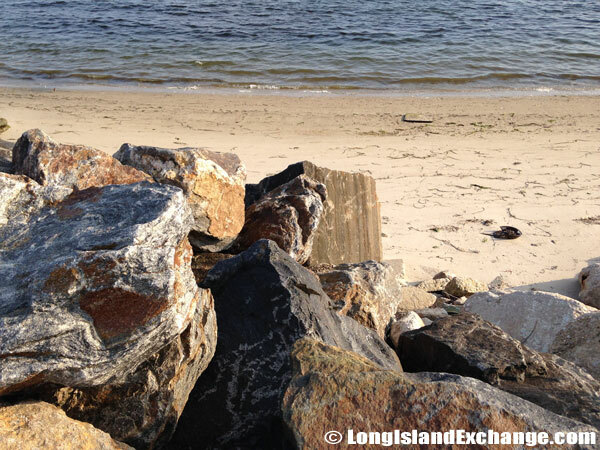 Oak Beach holds a record to this day that has stood for more than half a century, for a landing of a fish in 1948 that weighed no less than ten times the average. 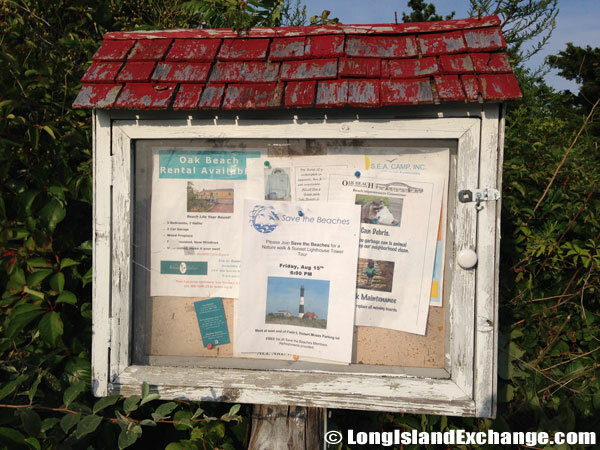 Oak Beach gifts such wonders with indulgence, as anyone who has taken a fishing charter from Captree State Park can testify. 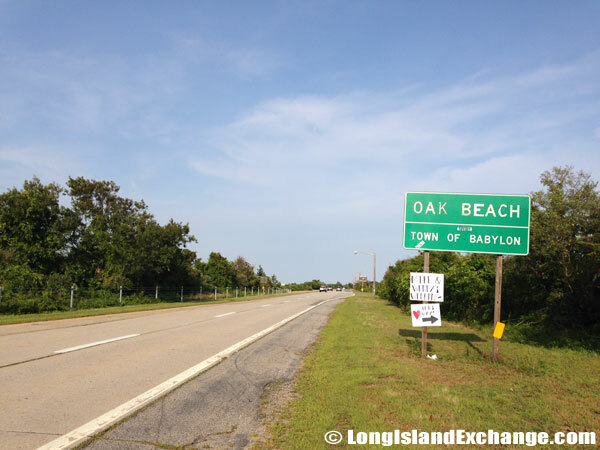 A sign welcomes visitors and residents to Oak Beach, within the Township of Babylon. 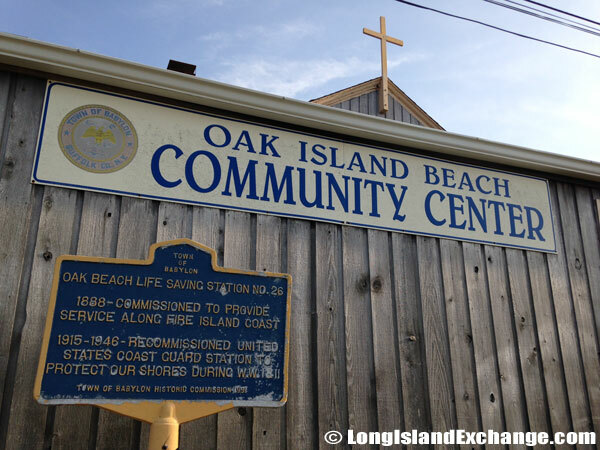 The Old Oak Beach Sign in the parking lot. A more recent sign which replaced the old sign in the parking lot. A beach view at Oak Beach. 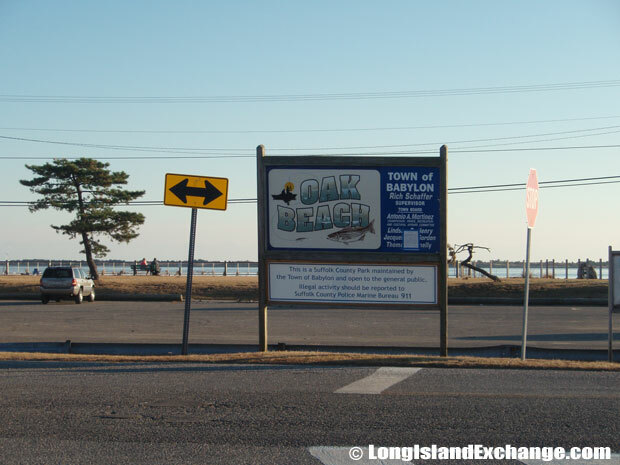 According to the 2010 census, Oak Beach (Captree) had a population of just 286 people. The median income for a household was recorded at $142,583. The racial makeup of the area is White (89.5%) followed by Hispanic (8.0%) and Two or more races (1.0%). 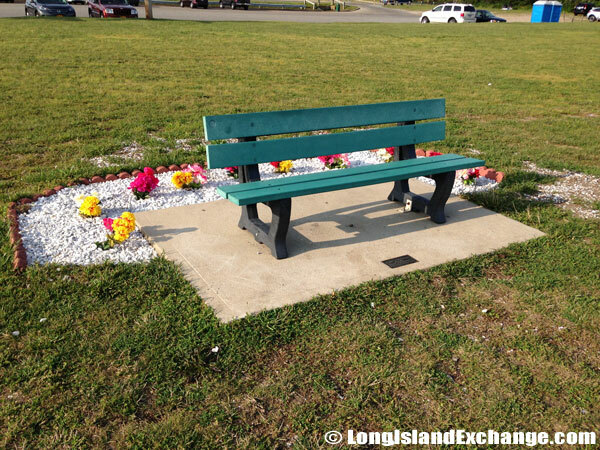 The Richard L. Brooks Memorial Park, Oak Beach. Bay Constable Richard Brooks was shot and killed by a suspect he stopped for driving while intoxicated. 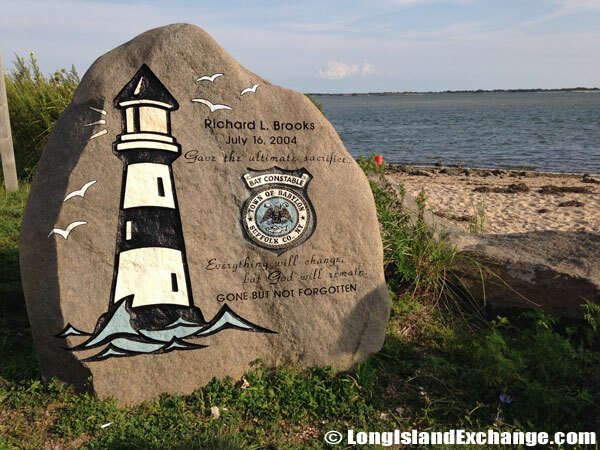 Brooks observed the suspect operating a vehicle in an erratic manner on the Robert Moses Twin Causeway that connects Oak Beach to mainland Long Island. The magic continues as you step ashore and wonder through the deep glades that lie landward of Oak Beach. It is a telling indictment of our times that the last recorded sightings of rare and endangered birds goes back beyond 1940. It does not need the patience, experience and sheer love of a birding enthusiast to observe the numbers, variety and zest of spring and autumn flocks that grace Oak Beach surroundings, as they make their mysterious flights of migration from the Arctic to warmer climes. There is no evidence of the sightings that are lost each year, and there does reside the real Oak Beach charm. 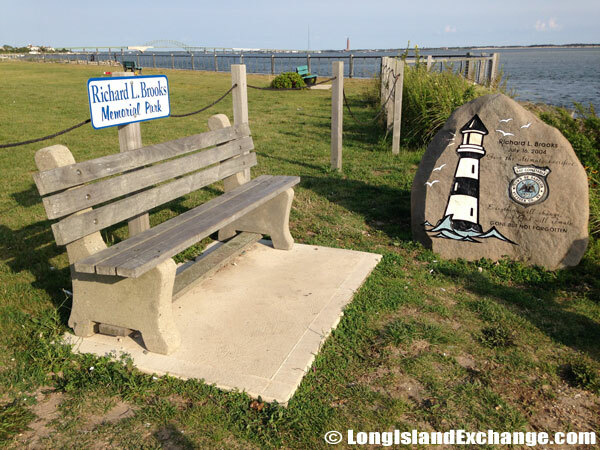 A bench along The Richard L. Brooks Memorial Park, Oak Beach. 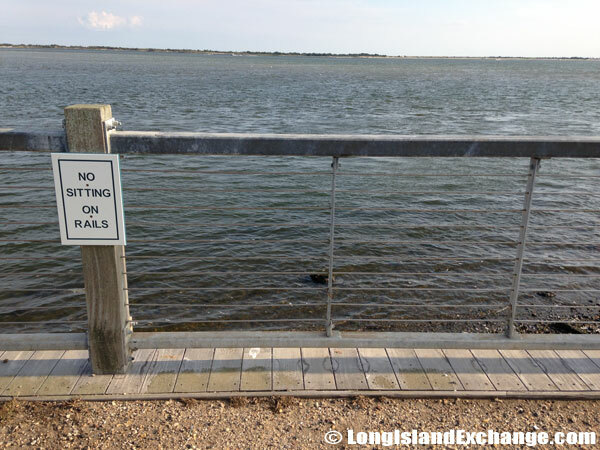 No sitting on the rails which line Oak Beach. 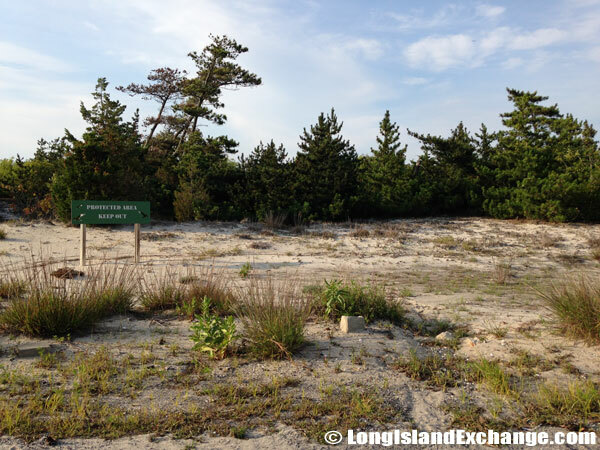 One of the many federally protected wilderness areas off the south shore of Long Island. Single family homes are still available in Oak Beach in secluded areas amongst groves of trees, with unbroken views of the ocean and with direct access to beaches. 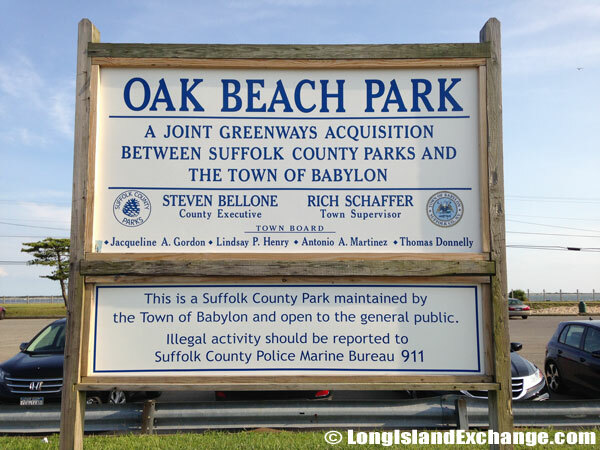 Ocean front property in Oak Beach has enormous value that will endure as Babylon transforms its natural potential. 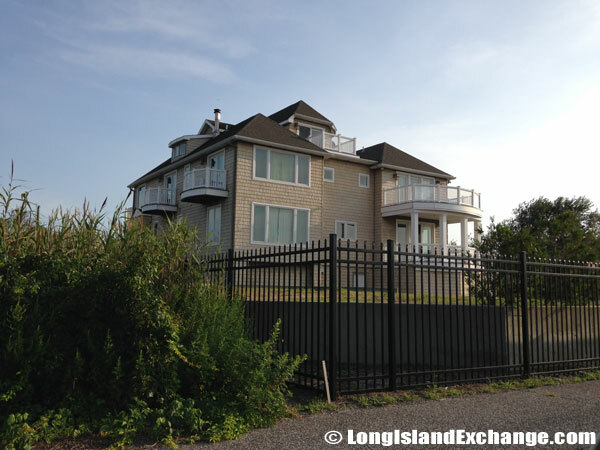 The median sales price for a home in Oak Beach NY in late 2012 was $825,000 with just 12 properties for sale. 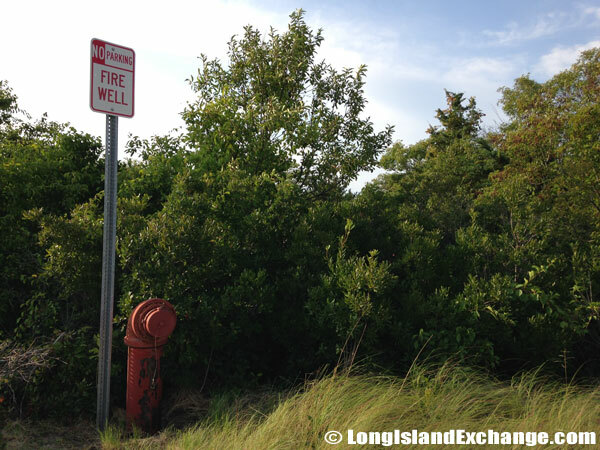 Fire wells have been installed throughout Oak Beach as a response to the devastating results of fire. 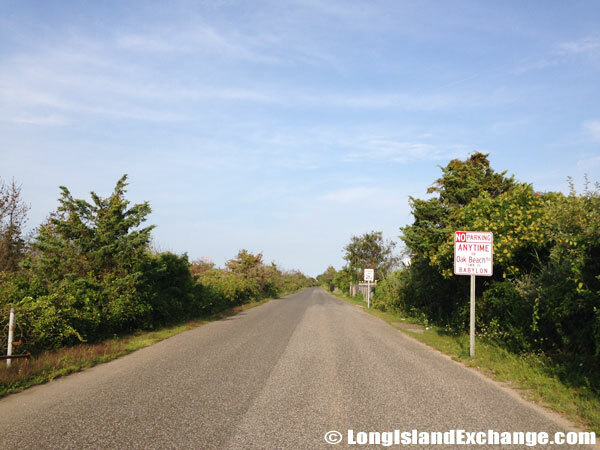 One of very few roads throughout Oak Beach. The people who live in Oak Beach have unusual lifestyles that are always threatened by marauding developers. This humble hamlet is home to one of the largest adult volleyball associations in the North Eastern United States. 800 members represent a gamut of players ranging from the casual and looking for fun to the highly accomplished with a passion for the sport. Games are played at night on the beach and the association promotes a healthy lifestyle. Oak Island Beach Association gated entrance to a private community. New construction on the east end of Oak Beach. 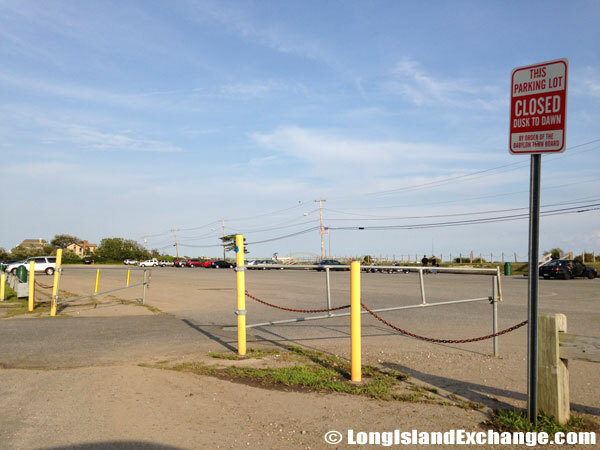 The parking lot at the entrance to Oak Beach. 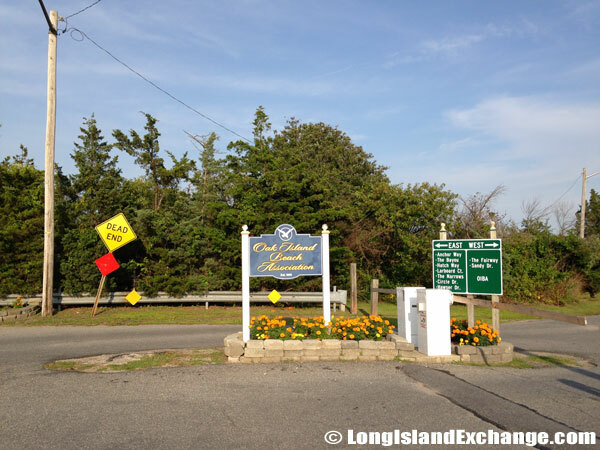 The Nassau-Suffolk Pigeon Fanciers is a group of lovers of these birds based in Oak Beach and with national affiliation. The Association supports everyone who is interested in pigeons and invests in developing interest in the birds amongst young people. It is also a forum for social interaction and gives people the opportunity to make new friends.